Craig Buhler plays first tenor sax with Sequim’s “Stardust Big Band”. Among his 30 recording credits are 8 CD’s under his own name. 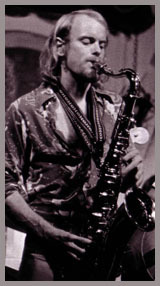 Craig is a charter member of the acclaimed California rock band HONK, which toured nationally with the Beach Boys, Loggins & Messina, Chicago, Santana, and others before audiences of 10,000+. HONK has released 5 CDs, and continues to sell out San Juan Capistrano’s Coach House as well as other California venues. Craig is the author of 2 books on music. “New Ears Resolution” is a revolutionary new ear training method which has proven effective with scores of students on many instruments. “Keys to Music” is a complete course in jazz woodwind technique which includes 54 original etudes. Each collection comes with an accompanying CD. Craig serves as Worship Director for the Little Brown Church of Blyn, Washington and is former Worship Director for the Vineyard Christian Fellowship of Seattle. He has played for international church conferences as well as 70+ NW congregations. In addition to Craig’s 3 original worship recordings, he appears on CD’s by Vineyard artists Andy Park, Kevin Prosch, & Brian Doerksen. Craig has presented his 2-day “Total Immersion” seminar for worship musicians to churches in 5 states. Craig’s “Jazz For Youth” band has performed at over a hundred school assemblies, religious conferences, and civic functions. He is former Woodwind Instructor for Mills Music stores in Bothell, Redmond & Lynnwood, WA, and now offers private instruction in clarinet, saxophone, flute, ear training, and improvisation. Craig is also the Improvisation Coach for the annual NW Big Band Workshop, the Sequim High School Big Band, the Jazz in the Olympics Society (JITOS) Youth Band, the Heebie Jeebies Summer Jazz Camp, and the award winning North Winds Home School Big Band. 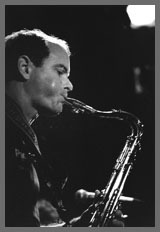 He represents Buffet clarinets & Keilwerth saxophones as an artist / clinician. In 1979, Craig toured & recorded with British singer Ian Matthews. Before this, he spent 3 years with the jazz group “Storyville” (along with fellow HONK Band member Will Brady), which released an LP and appeared all over California, including concerts with Dizzy Gillespie and the Crusaders. As a UCLA music major, he studied clarinet with Mitchell Lurie, saxophone & flute with Bill Green, ear training with Alvin Learned, and composition with Doug Leedy and Paul Chihara. In 1987, he earned a Master of Science degree from the University of Washington. Craig Buhler lives in Sequim, WA with his wife Molly, their 4 cats, and Benny Good Dog. Their favorite hobbies are hiking, swimming, bicycling, and gardening. To find out more about my subsequent history and music, check out my website, craigbuhler.com.